Water bottles are one of the top items you should always have with you while you're riding. You won't get far without any water. The Specialized Purist Hydroflo MoFlo 23oz water bottle is a BPA-free plastic bottle that is made from 100% FDA food-grade materials. It features an amorphous silicon dioxide coating that helps prevent drinks staining the bottle or leaving behind any nasty aftertaste. The large screw top easily accommodates ice and drink mixes, and the MoFlo cap design helps deliver up to 50% greater flow. 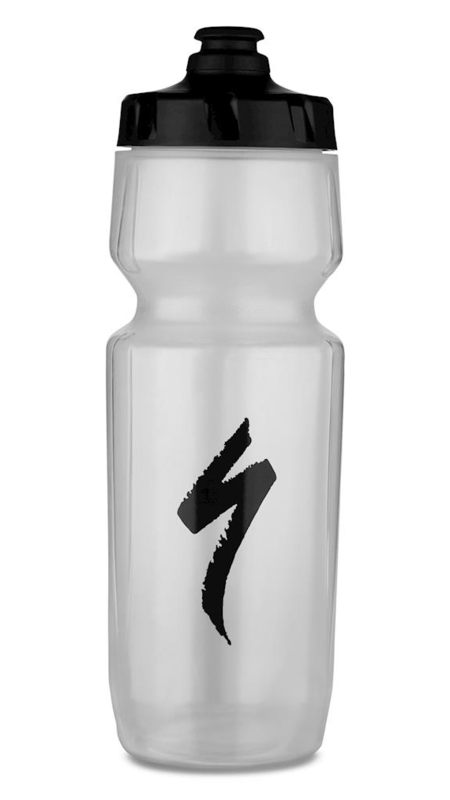 If you're looking for a water bottle that doesn't stain easily and has no aftertaste, then you'll love the Specialized Purist Hydroflo MoFlo 23oz water bottle.